The TSA folks wouldn't let me take a small, sealed can of tuna on board after the original no-liquids directive, and the OU wants them to let people take palm, willow, myrtle, and citron aboard? Maybe things have loosened since they allowed on 3 ounces of liquid (is that per person or per container? isn't clear to me yet), but the lulav, especially, strikes me as questionable. Good luck to all Jews traveling with these four plants! Shabbat very viscerally shows us that, no, we really can't get everything done, not even when Shabbat starts at 8 pm. Rosh Hashana and the process of teshuva show us that we can always start over, even when that seems preposterously impossible to us. 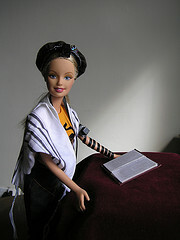 Tashlich teaches us to let go of the things that we've done wrong in the past, in order to move forward into the future. It teaches us that we can let go of such things. Chanukah teaches us (in the Northern Hemisphere) that, although we have no control over the shortening of days, we can always light candles. With God's grace we can create order in a chaotic world and rededicate our Temples, whatever and wherever they may be. Prayer teaches us to be thankful and grateful every single day but also to cry out to God for help because we can't make it on our own. Sukkot teaches us about the impermanence of our dwelling spaces. Anyone who has wandered in a desert or who has been caught in a tsunami, hurricane, fire, or earthquake knows this viscerally, but for those of us lucky enough to escape such misfortune, the holiday of Sukkot forces us to realize it. When we eat in a sukkah we may consider the flimsiness of its walls compared to the apparently solid sturdiness of the walls of our homes, but if we really think about it, we realize that a sukkah may be a temporary home, but a house of brick and mortar is far from permanent, attached to it though we may be. It comes and goes. Linda of Indigo Girl writes about selling her mom's house four months after her mother dies. I can empathize with the feelings she has about giving up her home, as my parents sold my childhood home several years ago. Losing that childhood home made me so sad, even though I guess I always knew that it would happen one day. I suppose that the memories created in that home reside in my head, not in its walls, but it still felt like some important part of me was being ripped out. I have felt a bit like a wandering Aramean since the sale of the house, even though my immediate family is, thank God, alive and well, and I'm sure that they would say that I may find my home is wherever they are. I'm not sure that the lesson is that we should invest fewer emotions in our homes. I think it is normal and healthy to get attached to your dwelling place. Sukkot is, I think, at least partly about the sanctification of space, in a religion that A.J. Heschel claims sanctifies time more than space. Maybe the trick, though, is always to remember that the place for which you lovingly and gratefully pay rent or a mortgage is semi-permanent and that our true homes are the world at large, the Earth itself. One could say that the aggregate of places where you can erect a temporary sukkah is the only home that can be considered permanent. Every one of us is a wandering Aramean. This could be a depressing thought or it could be freeing. I went hiking yesterday, and looking down from 1100 feet at the fiery hues of the countryside around me, I felt nothing but awe and reverence. This--the world--is my home, and where I rest my feet and head at night is merely a stopping point within it. This is actually the first Mishna and the first Gemara that I learned, in seventh grade. 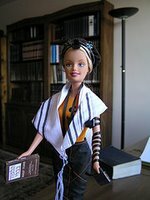 Learning Mishna, Gemara, and a lot of other stuff opened more doors to disbelief than one might assume. Shanna asks, "What do you pretend to believe? What do you know now? And just how did it used to be?" Go over and there and answer her, if you feel like it. I could post a novel-length posting about what I pretend to believe, what I believe now, and what I used to believe, but I will choose not to at this time. 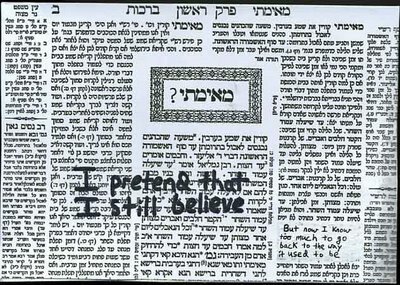 I love PostSecret, though, and loved this secret, including the "Rashi" on the side that I didn't see until just now. I think it would apply to more people than one might imagine.